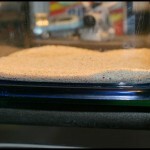 There are multiple different types of sand available to aquarium hobbyists, along with an endless amount of configurations for their use in aquariums. 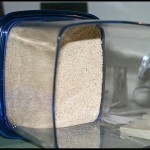 The most common of which are the deep sand bed (DSB), shallow sand bed (SSB), and having no sand (bare bottom). Each of these brings something different to the table. 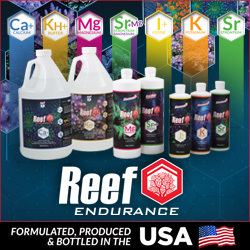 The deep sand beds are great at removing nitrates, but have the potential to crash and can really chew up vertical space in your aquarium. 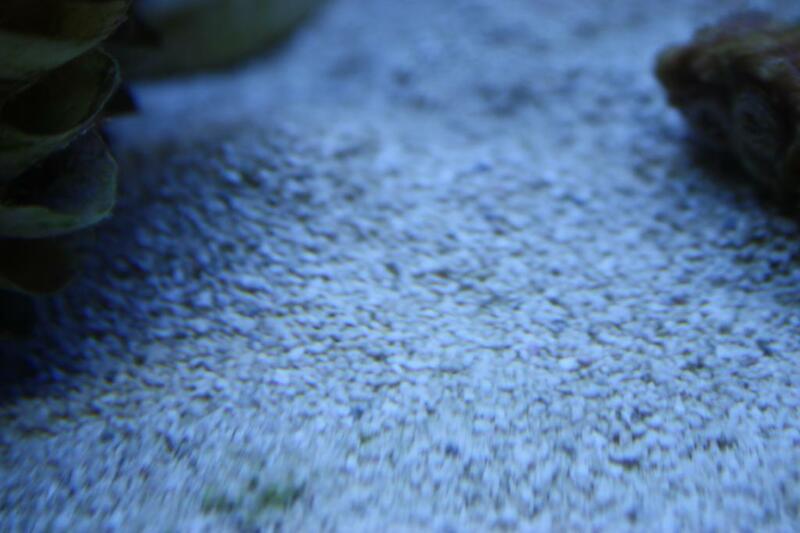 Shallow sand beds are the most widely used, as they serve both a functional purpose and aesthetic one. They can provide a natural method of pH, calcium, and alkalinity buffering, as well as surface area for bacteria. SSB’s won’t crash like a deep sand bed, but also won’t process nitrates like the DSB. 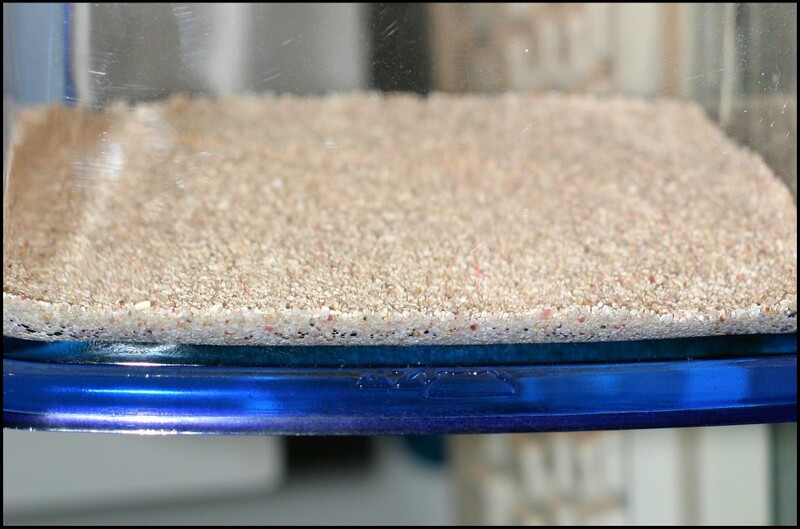 Having sand in saltwater aquariums is obviously more prevalent, but a growing trend in the hobby is to ditch sand altogether in favor of increasing water flow without all of the sand storms. Keep reading below for more information on bare bottom aquariums, starboard, and faux sandbeds. 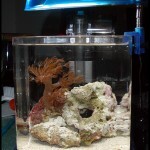 Bare bottom aquariums have traditionally been tanks simply devoid of sand. The aquarist would often stack live rock on a bare glass bottom, but this approach wasn’t visually appealing (to most anyways). Wanting the benefits of a bare bottom tank, but still desiring a more natural look, aquarists started using “starboard”, which is the white plastic material used for kitchen cutting boards. 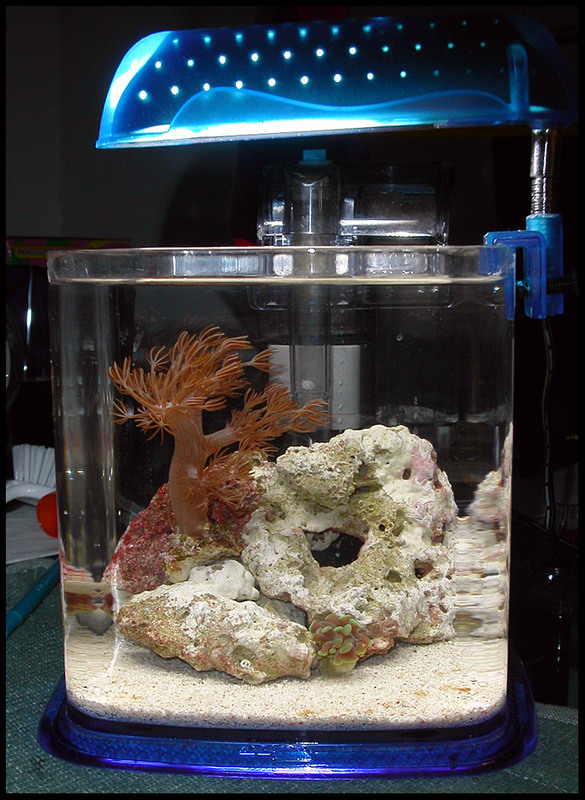 This approach persisted for a few years before reef keepers started wanting a more visually appealing bare bottom aquarium. Clever hobbyists started covering the starboard with silicone and sprinkling sand over top of it, much like a kindergartner does with glitter over a paper full of glue. The result of course was a more natural looking bare bottom tank, as desired. Despite these advances, it still may not be enough. 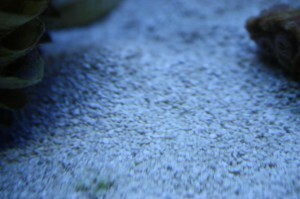 Case in point, aquarium keepers have stumbled across a new way for a bare bottom approach, and it’s the faux sand bed. 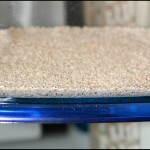 To achieve the faux sand bed, all you need is a little liquid epoxy and sand. 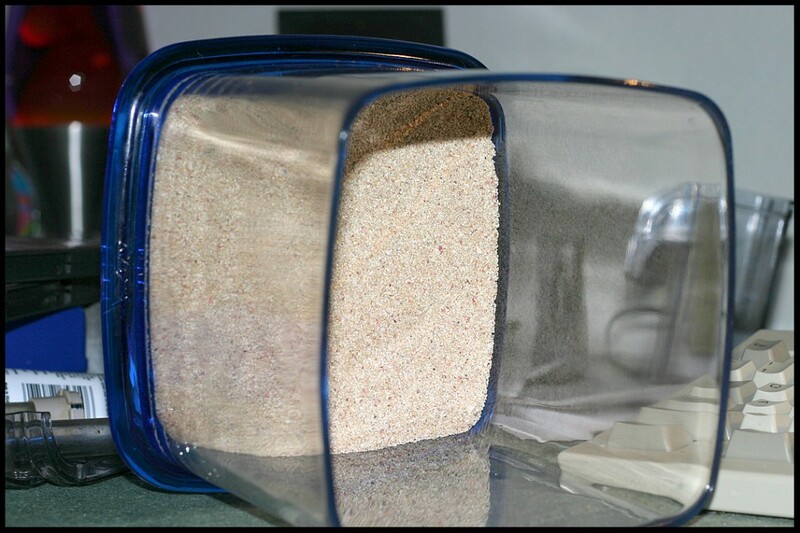 Mix the sand and epoxy in a separate container, pour it into the tank, smooth the top, and perhaps sprinkle a little more sand on top. Wait a few days, add water, and start the nitrogen cycle. 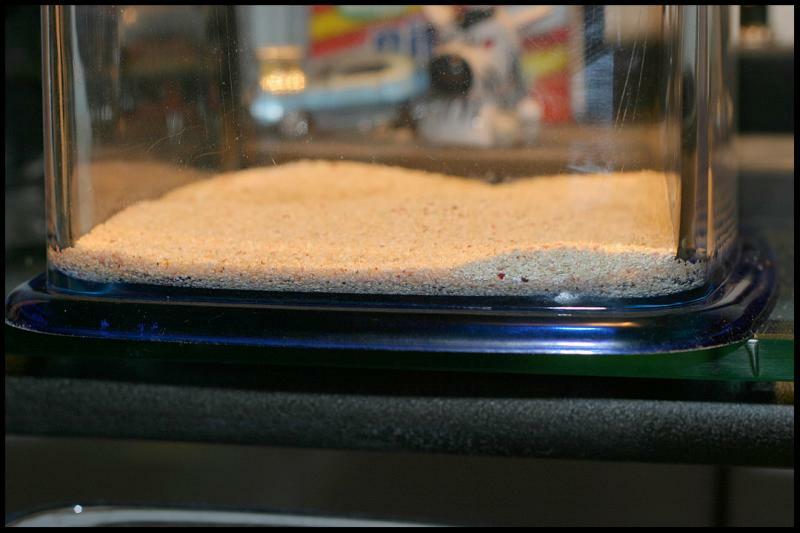 Judging from the various image circulating on the net, the faux sand bed looks very natural. Speaking of images, below is a gallery showing off a faux sand bed in a pico aquarium. As you can see, the sand looks very natural.